After the Indian men's team won the ODI series against New Zealand, Indian women too show their prowess and won the one-day series. Opener Smriti Mandhana led the chase for India after a feisty bowling performance that steered the side to a series-clinching 8-wicket triumph in the second ODI. 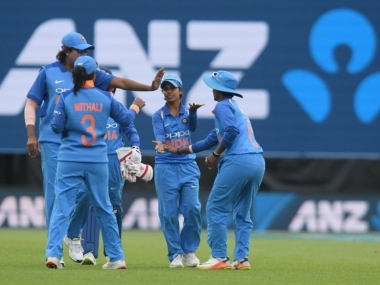 Opting to field, India produced an excellent effort to bowl out New Zealand for 161 in 44.2 overs before player of the match Mandhana (90 not out) and skipper Mithali Raj (63 not out) stitched a 151-run unbroken third-wicket stand to guide the team to an easy win. The duo began India's run chase from 15 for 2 after the early loss of opener Jemimah Rodrigues (0) and Deepti Sharma (8). “It feels great but I think our bowlers deserved the player of the match award more than me. I will give it away to our bowlers, they did a great job to restrict New Zealand on a good wicket,” Mandhana said in the post-match presentation. The 22-year-old Mandhana has been in excellent form in recent times and her half century was her eighth in the last 10 ODI innings. She hit105 in the first match of the ongoing series. In the second ODI, she took just 82 deliveries in her unbeaten knock of 90. Mithali, on the other hand, faced 111 deliveries in her knock of 63. But, she was a perfect counterfoil to the aggressive Mandhana. Mithali completed the run chase in style with a six as India reached to 166 for 2 in 35.2 overs. “I am happy with the way the team is shaping up. I have always enjoyed batting in challenging conditions. It wasn’t easy, it required patience here. Smriti is in good form and somebody had to give her support,” Mithali said. India have now taken an unassailable 2-0 lead in the three-match contest, which is part of the ICC Women’s Championship series.